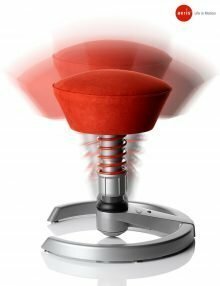 Aeris are leading ergonomic chair designers and manufacturers, with numerous awards for their innovative product line, aimed at reducing the number one public health concern; backache. Aeris, formed in 1996, became one of the TOP 100 of the most innovative small and medium-sized German businesses in 2007. The 3Dee uses the same 3D active technology as the swopper. 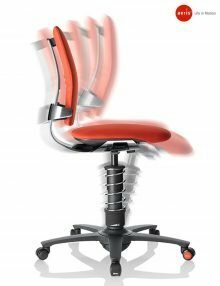 The chair will move with your body supporting your back and giving comfort at all times. 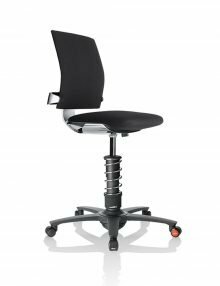 The backrest tension and lumbar support are independently adjustable. Seat height 42-56cms or 45-59cms. As standard has a Black aluminium base, black spring and standard castors. Upholstered as standard in Trevira CS cloth in 3 colours – Black, Grey and Coral. One seat but fits all needs. 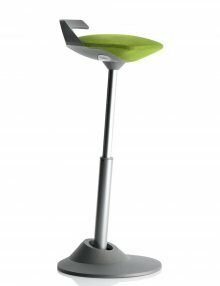 The Muvman dynamic sitting/ standing seat is ideal for work environments. 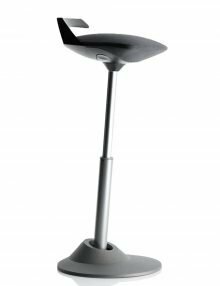 A unique exible seat and moveable joint in the base allows you to sit in comfort at all times. 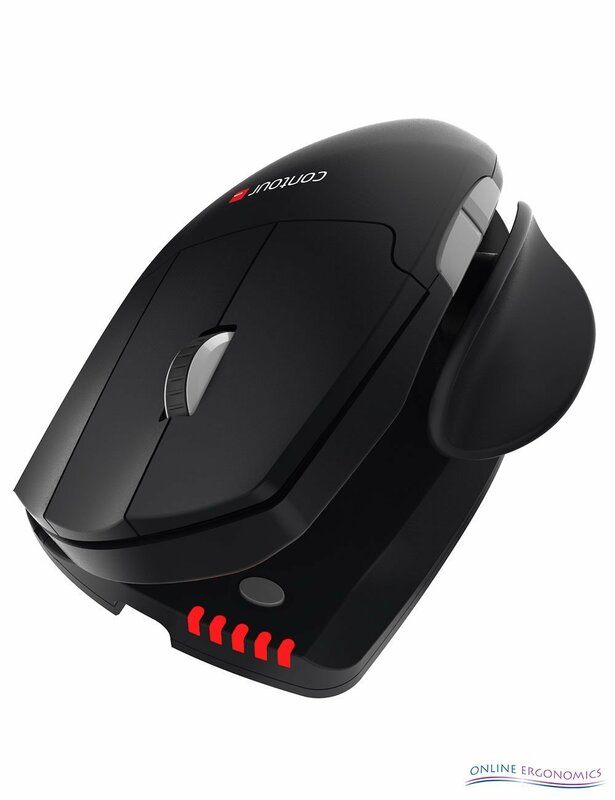 Easy height adjustment at the touch of a button. 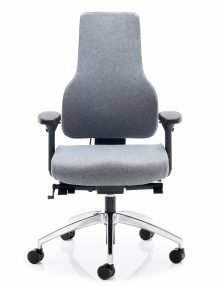 A unique flexible seat and moveable joint in the base allows you to sit in comfort at all times. Upholstery is available in 4 colours Grey, Black, Blue or Green. The base plate is available in Grey or Black. 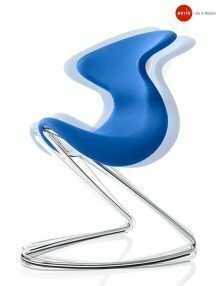 Use the Oyo chair in the office, boardroom, lounge, library or anywhere that needs style and comfort. 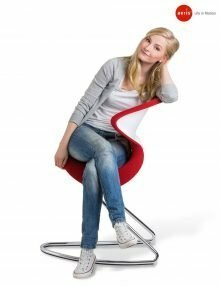 The unique design of the Oyo chair allows you to move rock and bounce. You can sit forwards, backwards or sideways in comfort every time. Double steel tubular chrome frame. Glass-fibre reinforced plastic with special soft foam and a 3D net structure material. Available in 6 colours Graphite, Kiwi, Red, Orange, Pacifc and Sandstone. 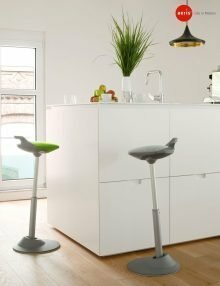 The Swopper is not like any conventional seat. 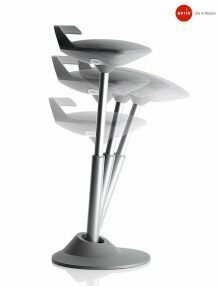 Due to the 3D active seat the Swopper encourages you to sit, bounce and move in different positions extending your reach and ensures the best sitting position. 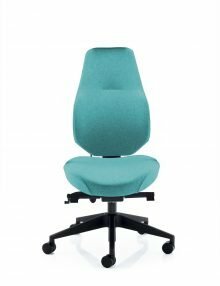 Upholstered in Microfibre hard-wearing breathable fabric which is easy to clean and has a velvety touch. 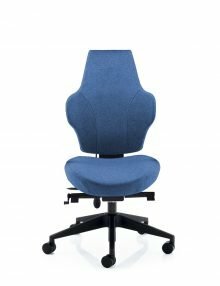 We work closely with medical professionals such as physiotherapists, chiropractors, osteopaths and ergonomists to keep abreast of the latest developments and advances in office furniture design. As a result, we’re confident that our products are at the cutting edge of ergonomic innovation.